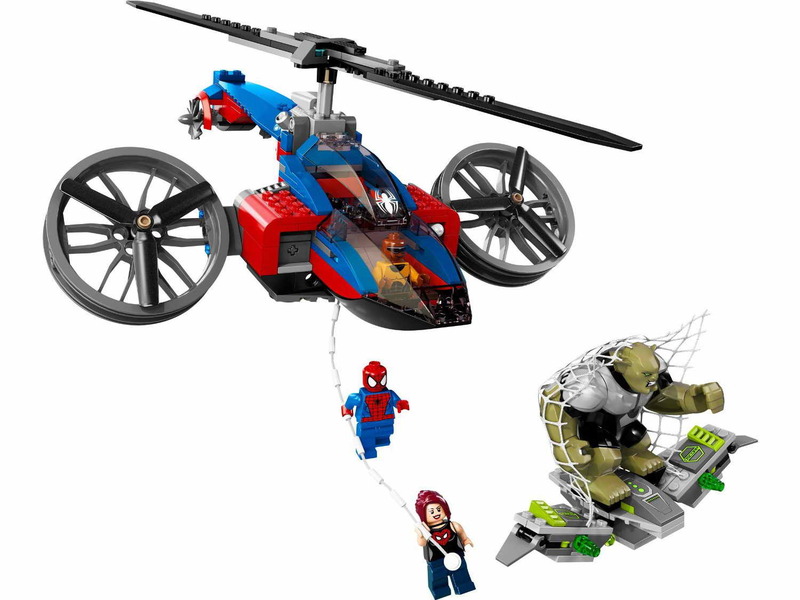 come with a spider helicopter and a green goblin glider. 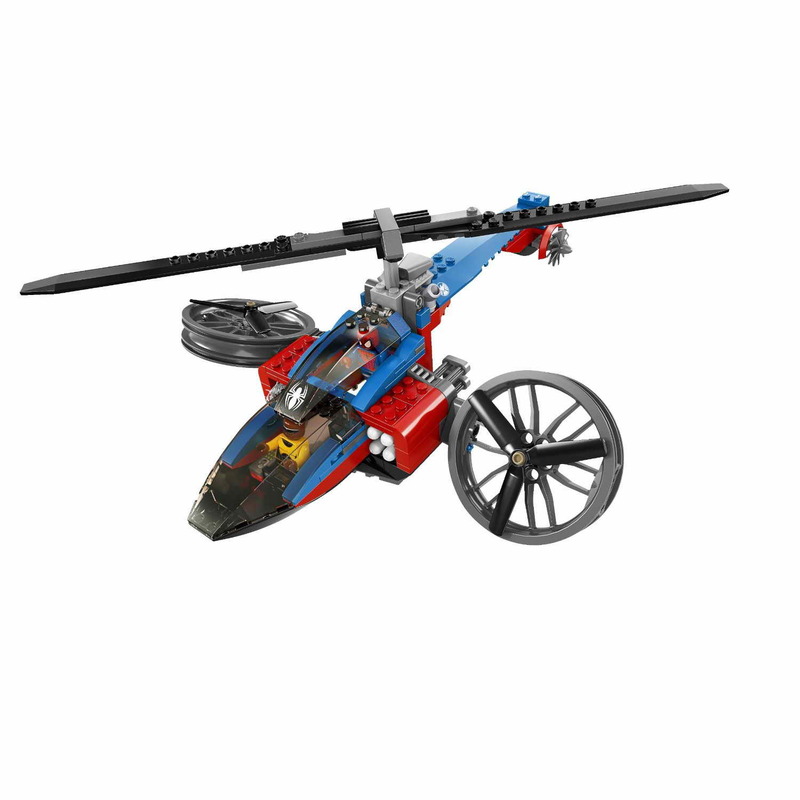 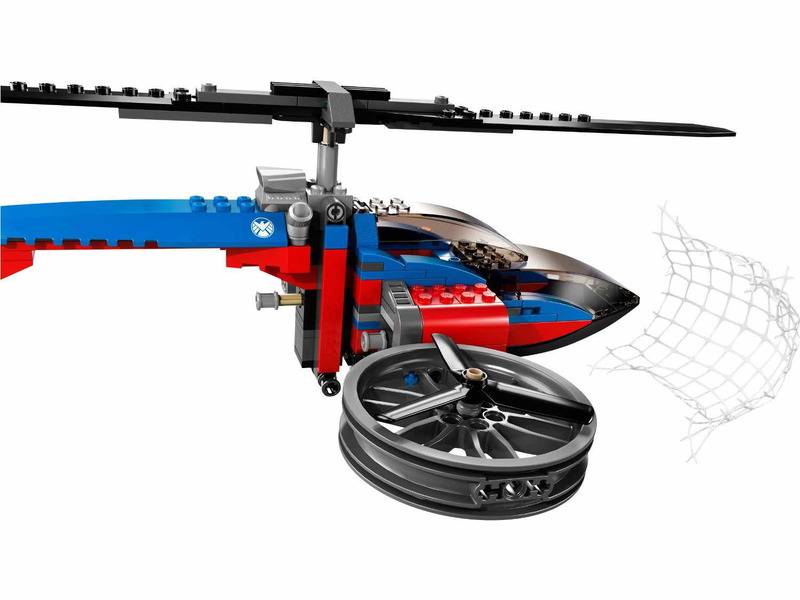 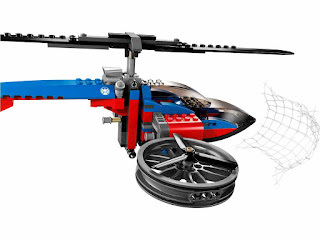 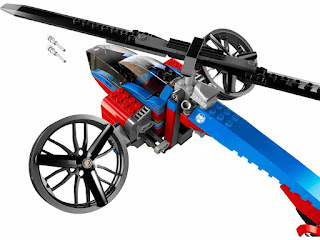 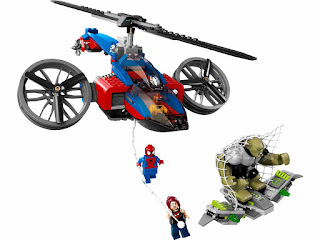 the helicopter has spinnable rotors, openable cockpits, a web net shooter, a missile cannon and 4 flick missiles. 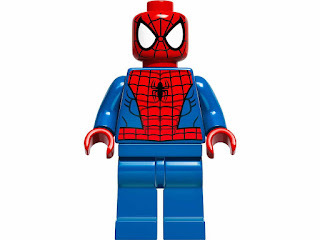 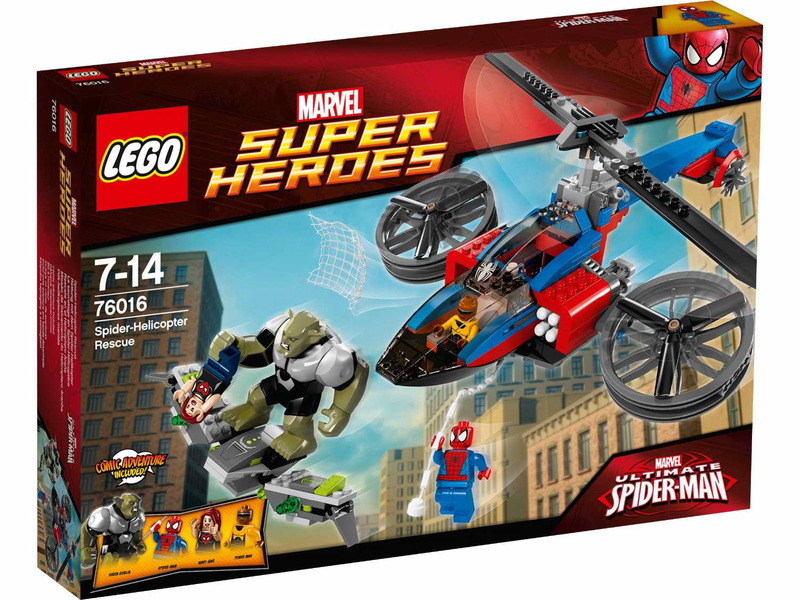 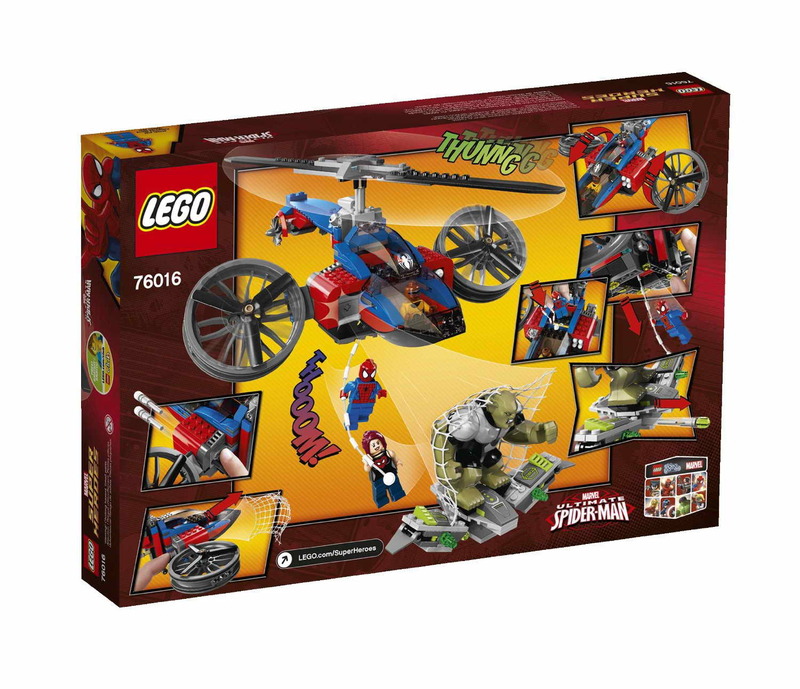 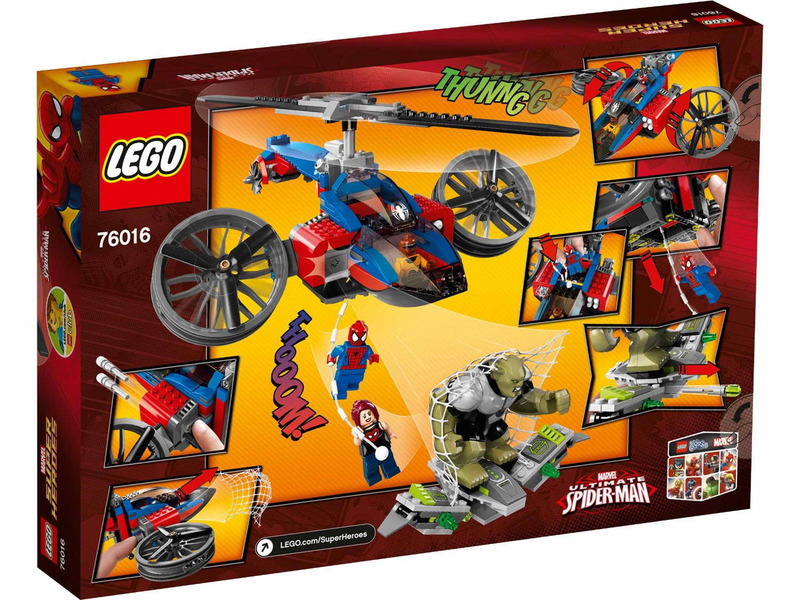 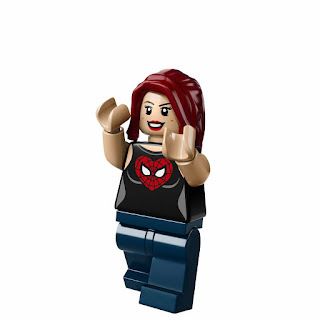 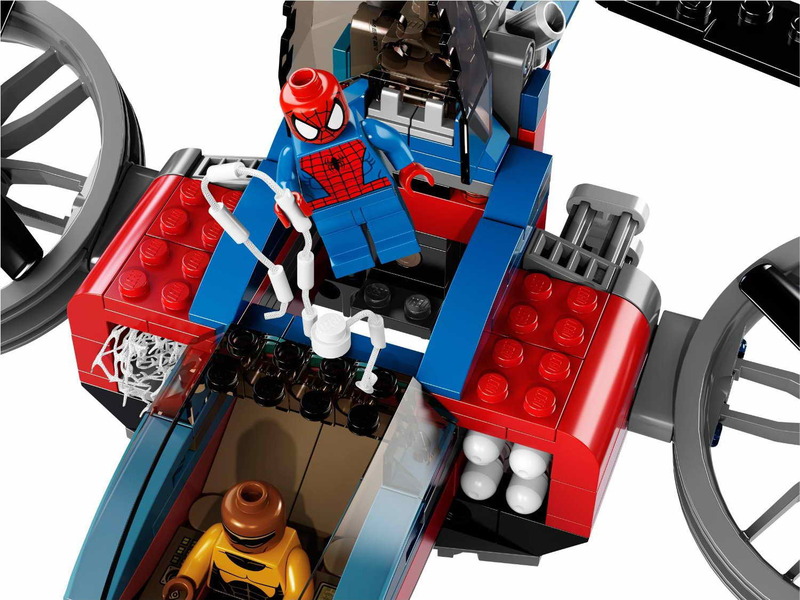 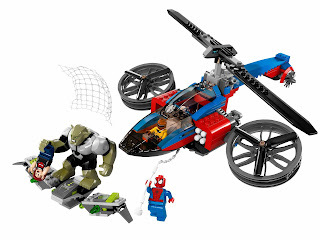 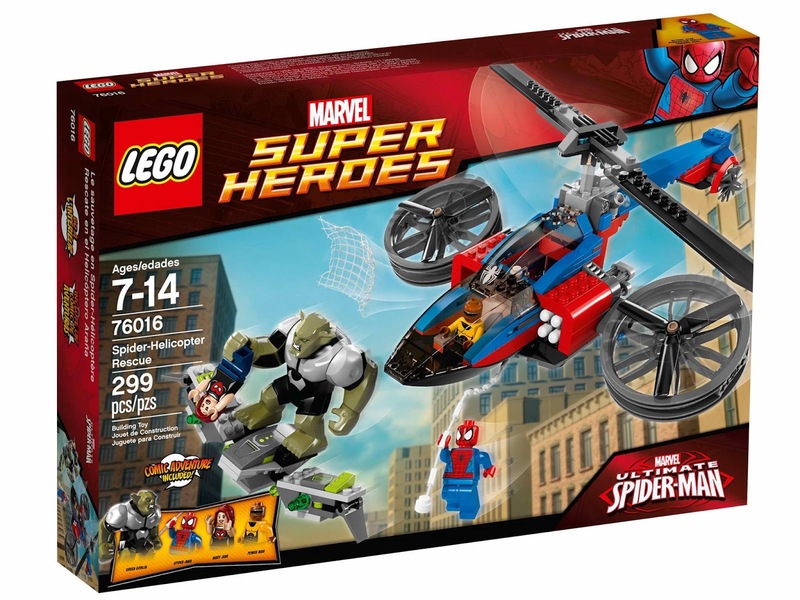 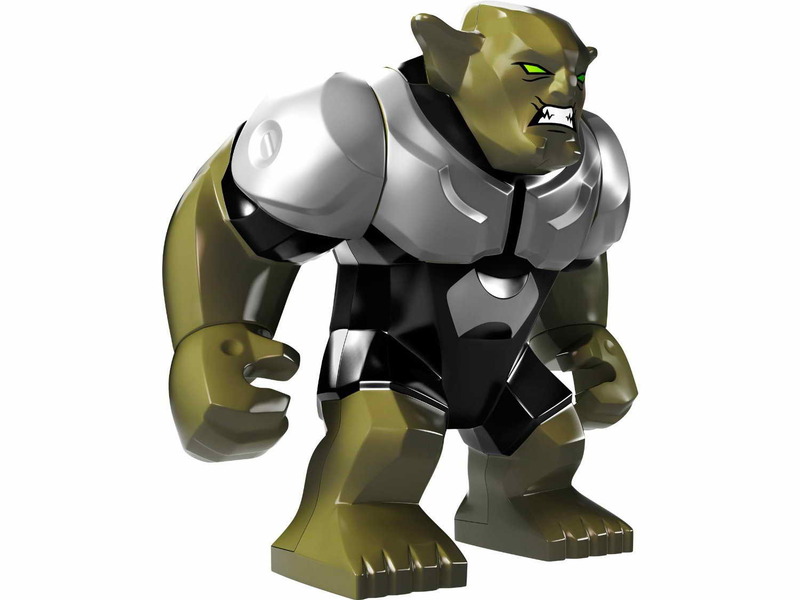 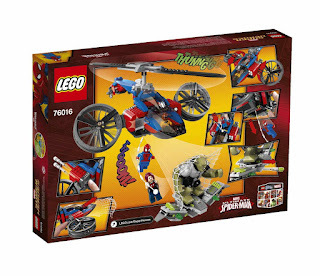 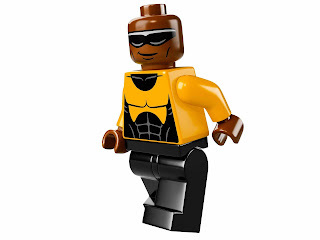 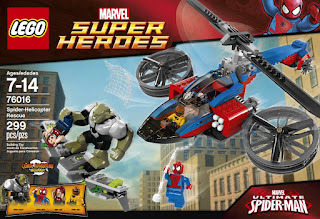 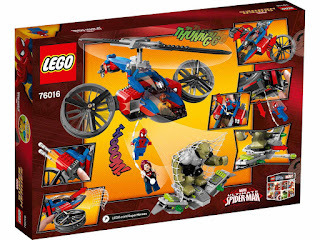 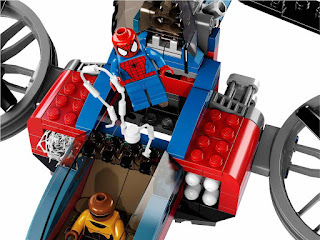 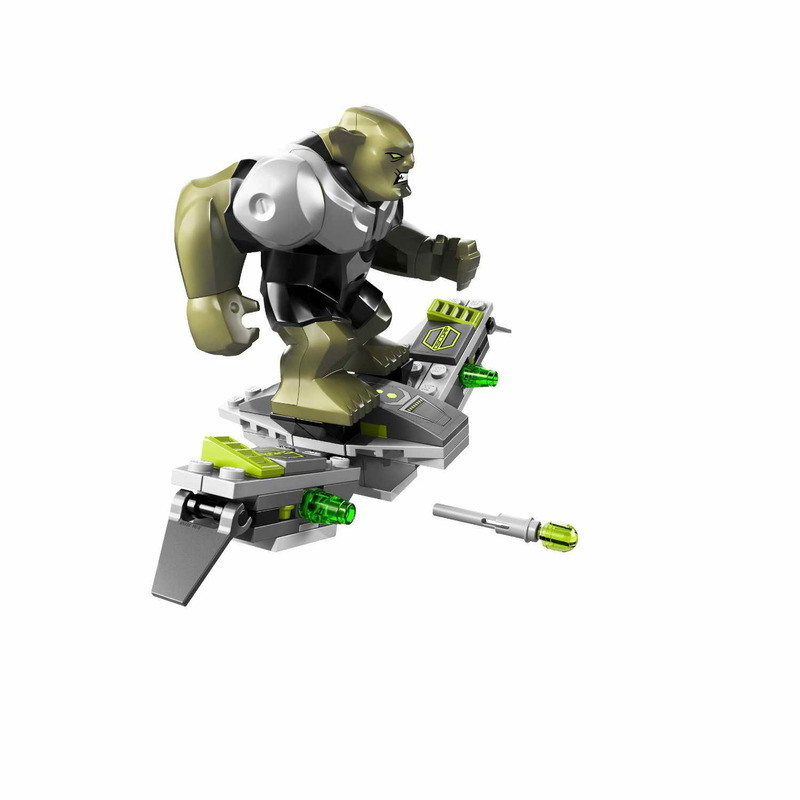 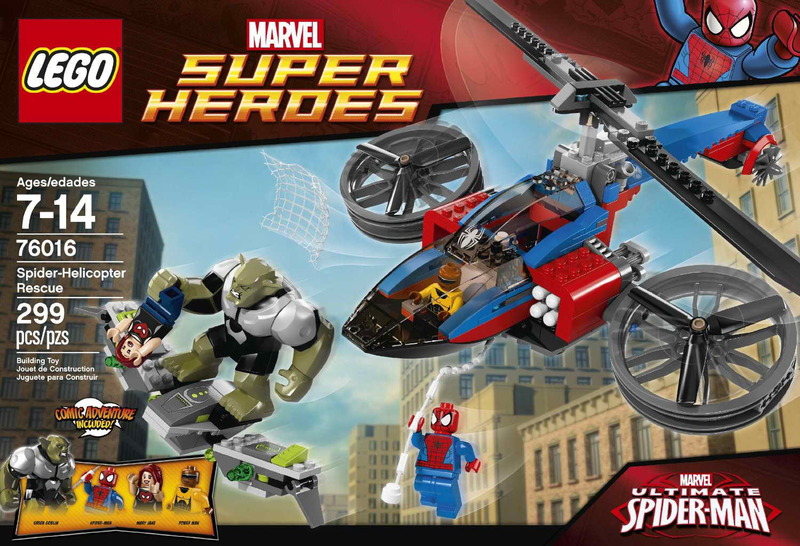 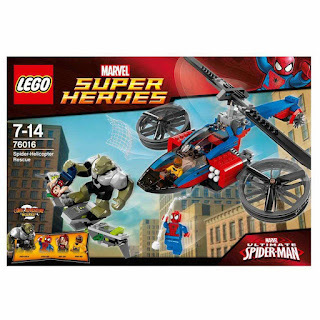 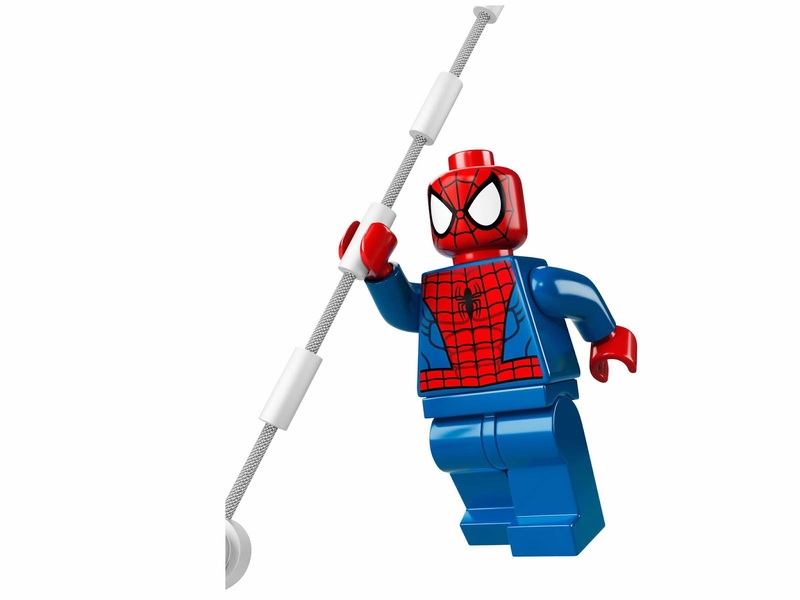 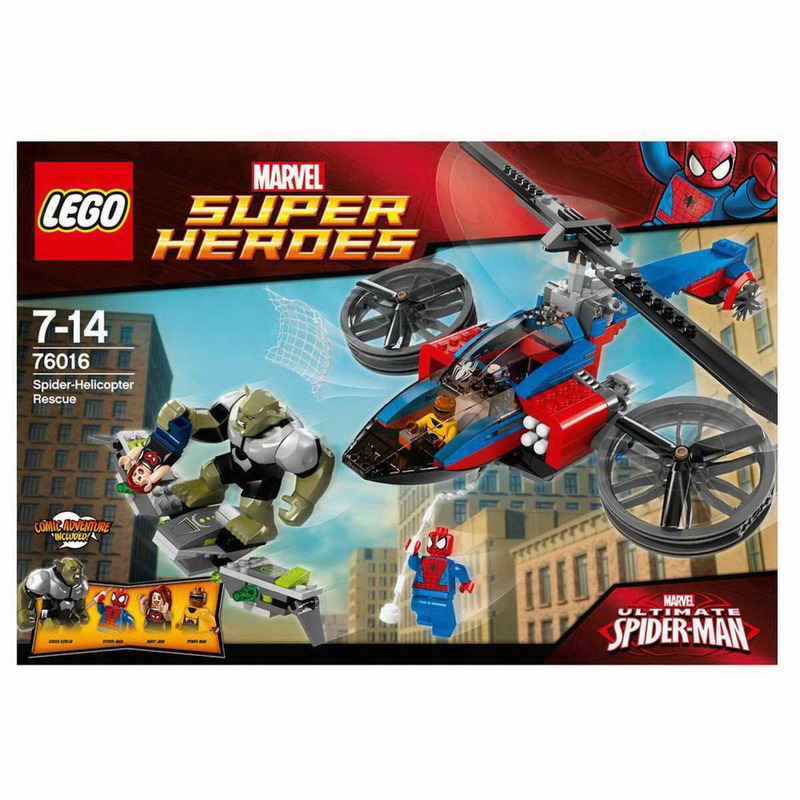 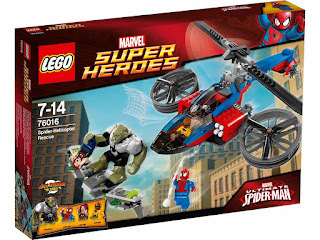 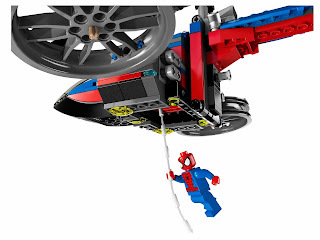 minifigs included a spiderman minifig, a power man minifig, a mary jane minifig and a green goblin minifig.